Just a quick update: First tornado warning at 3:28pm. 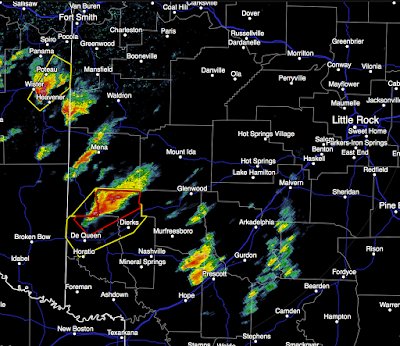 I am increasingly concerned about the tornado threat in Arkansas and far NW Mississippi. 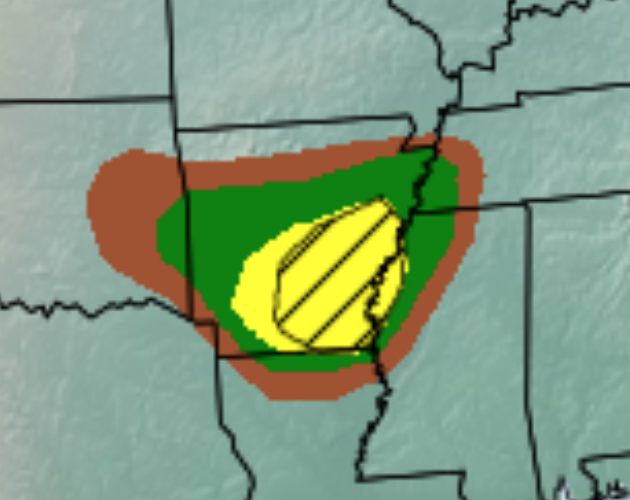 The green area (5%) is the threshold of the significant tornado threat. The threat becomes enhanced (my word) in the yellow (10% chance of a tornado within 25 mi. of any given point). 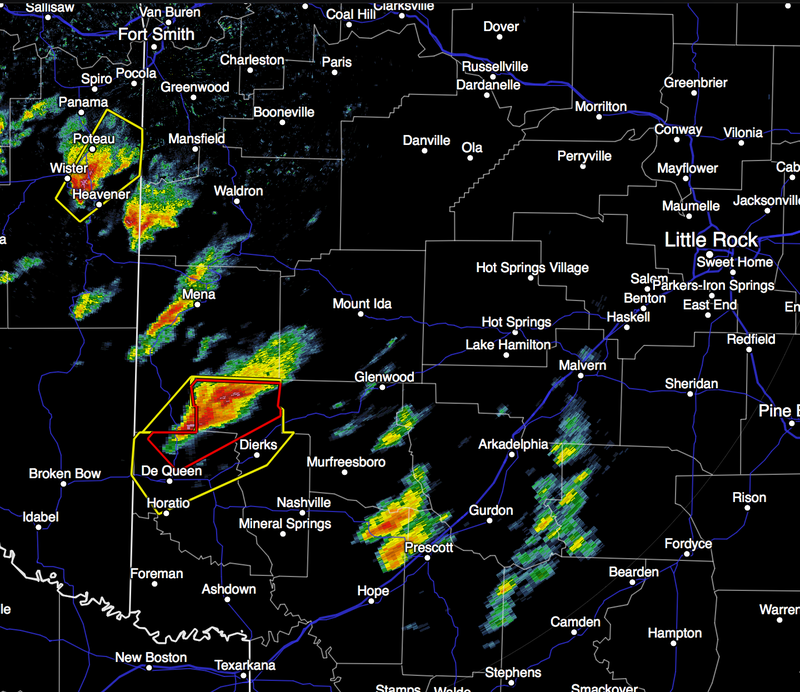 In the hatched area, there is good chance that any tornadoes that develop will be strong. If you have friends or family in the yellow area -- especially if they live in the region which is hatched -- give them a call to make sure they are aware of the threat. 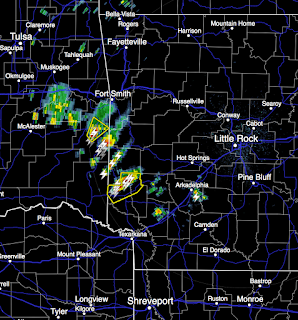 Here is the radar at 3:20pm. 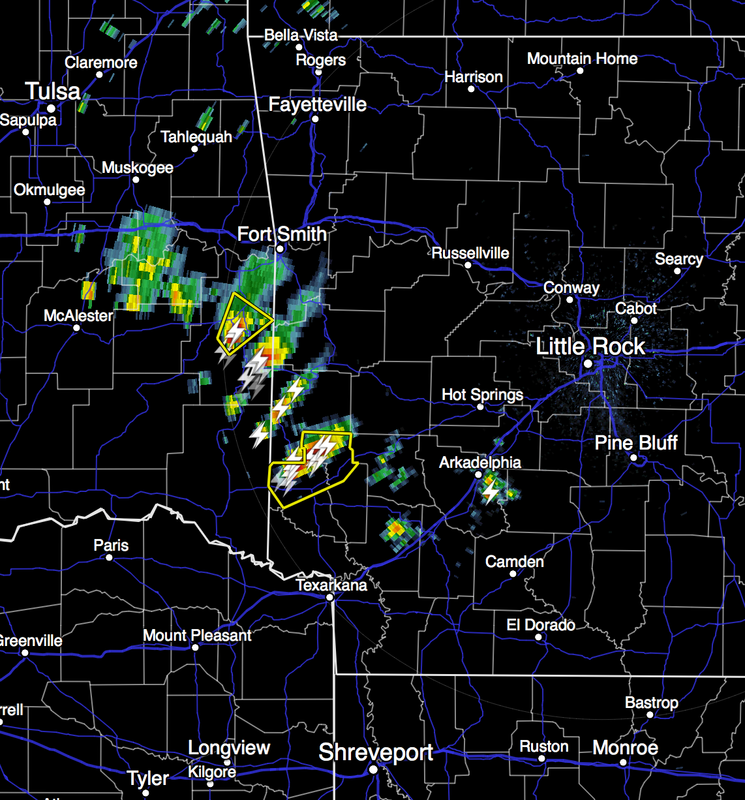 We no longer live blog storms. But, I will try to provide an update late this afternoon.